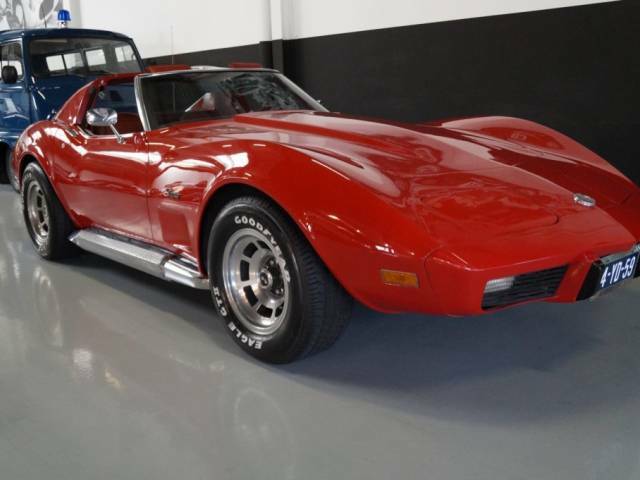 This 1976 Chevrolet Corvette C3 Targa was imported by us several years ago and sold to a Dutch client. Since the client is looking for an “upgrade “ we are happy to offer the car for sale again. 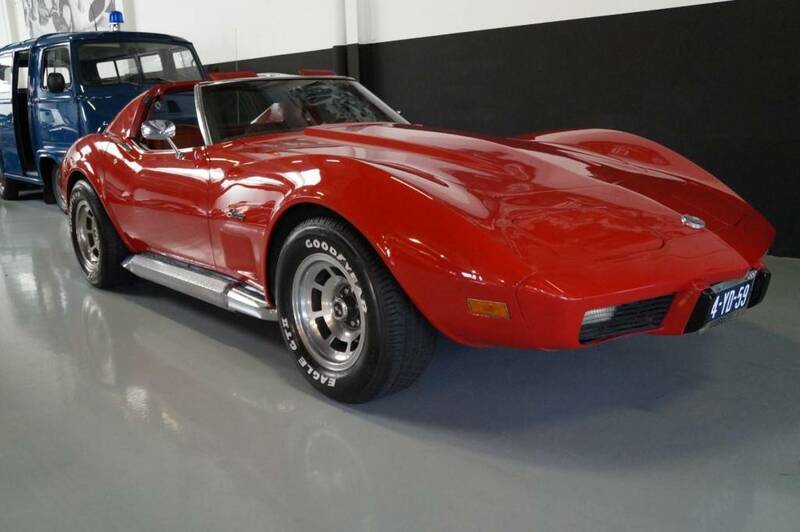 This Corvette is in good condition overall. Under carriage and body are rust free. The 5.7 V8 engine runs beautiful and the automatic gearbox shifts seamless. This C3 has good paint and the interior shows some patina but is fully original. All systems are in full working order. The T-top or Targa roof closes nicely and is easy to remove for those sunny days. The side pipes are not just for show but give this car some extra power and a brutal sound. This Corvette was is fully converted to EU specifications and currently has a Dutch registration which makes it easy to register in any EU country. Please do not hesitate to cal for more information.